Oliver Wendell Holmes, Jr. 1930. Image from Wikimeida . Legislators in thirteen states have introduced bills that would severely constrict or eliminate exemptions from compulsory vaccination, with the intended aim of coercing, cajoling, or forcing those who have not been vaccinated to become so. Those states are California (SB 277); Illinois (SB 1410); Maine (LD 606); Maryland (HB 687); Minnesota (SF 380 and HF 393); New Jersey (S 1147 and A351); New Mexico (HB 522); Oregon (SB 442); Pennsylvania; Rhode Island (S381); Texas (SB 1114; SB 538; HB 2006); Vermont (H212; S87); and Washington (HB 2009). Amidst hysteria arising from a relatively small number of cases of measles (some 600 last year and some 150 this year), law makers would take away everyone’s rights to liberty and personal autonomy. Given the likelihood that at least some of these draconian measures will pass, it is wise to reflect upon our history to see from whence this peculiar deviation from ordinary protection for liberty rights comes. It is also wise to appreciate that the law favoring compulsory vaccination is now scientifically anachronistic and that modern understanding of immunology enables us to employ measures that reduce the risk of disease carriage and transmission without forcibly tying down children and adults and injecting them with substances they do not wish to have in their bodies. It will surprise many to learn that the concept of compulsory vaccination has national socialist roots in our country that spring from the same drive for a “master race” that led the Nazis to embrace eugenics (including forced sterilization) and dysgenics (including execution of the Jews and others deemed “undesirable”). 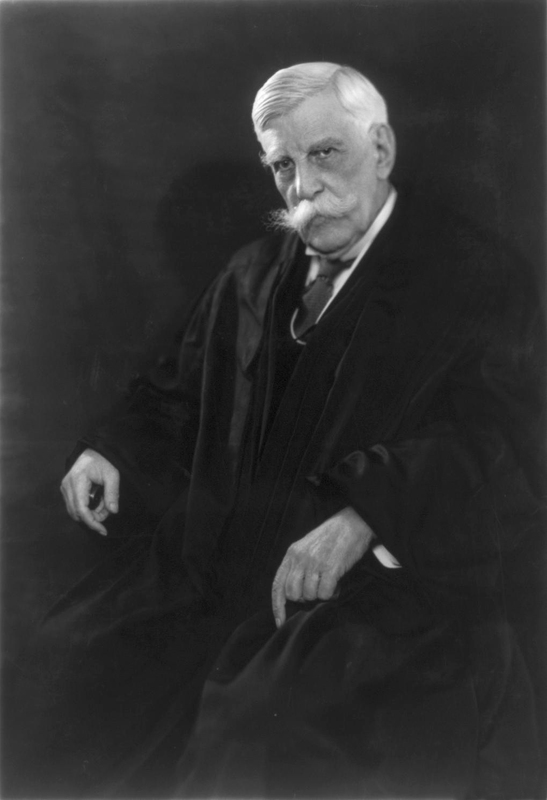 It will surprise many to learn that the person most responsible for eliminating constitutional protections against such intrusions (the Fourteenth Amendment) is one regarded as among America’s greatest jurists and legal scholars, Oliver Wendell Holmes, Jr. Holmes believed in eugenics and even dysgenics (execution of those whom he regarded as “feeble-minded,” “undesirable,” and “inadequate”). Horrific to any reasonable person in any age, Holmes relished in the idea of creating a “pure” American bloodline through government mandated infanticide and sterilizations. It was therefore of little consequence to him that individuals be forcibly vaccinated, because in his view the science of eugenics and purification of the race were far more important to protect and advance than the individual’s right to liberty. When the law gives sanction to compulsory vaccination on the theory that the public interest trumps the individual right of personal autonomy and liberty, precious little defense remains for individuals to dissent from all manner of government health-based impositions. If those in power can compel a person to receive an injection against his or her will to ward off diseases said to be communicable, than what is to stop the state from forcibly requiring that all Americans be tested for, say, heritable disease and sterilized if they are found genetically predisposed to pass on diseases that burden society like certain forms of breast cancer, Down syndrome, cystic fibrosis, Haemophilia, polycystic kidney disease, sickle-cell disease, or Tay-Sachs disease? Setting aside whether these diseases are, in fact, heritable rather than the product of environment and whether they would arise even if people who have them were sterilized, it is the popular medical dogma (as it is with diseases for which vaccines have been created) that elimination of them can only be achieved by one sure method: eliminating the culprit genes from heritability. 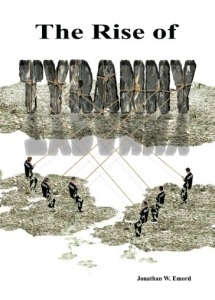 There is in this compulsory thinking an elitist motive with strong ties to the notion that the power of the state should be marshaled against a minority of those resistant to the popular will in favor of vaccination, taking from them their freedom to ensure that they conform. Indeed, it is an elitest conception of conformity that drives both mandatory vaccination and mandatory sterilization. If you do not see in this compulsion the hallmarks of national socialism, antithetical to our Constitution of Liberty, you must revisit world history from the age of Enlightenment to the end of Nazi Germany. In between, you will find that the same foul doctrine of authoritarian control over the individual existed in this country as in fascist Germany, Italy, and Japan, as in Communist China today. 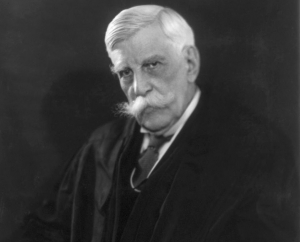 Indeed, that doctrine was given legal approval by Supreme Court Justice Oliver Wendell Holmes, Jr.
Holmes relished the opportunity to transform American law in ways that would elevate the power of the state over the individual such that medical procedures deemed to be for the good of society could trump the individual right to personal liberty and autonomy. His first foray into this realm as a jurist was the 1905 decision of Jacobson v. Massachusetts. In that case, a Massachusetts law permitted forcible vaccination whenever the board of health of a city or town determined it to be necessary “for the public health and safety.” Smallpox had appeared in Cambridge, Massachusetts, and the city adopted a regulation compelling vaccination of city inhabitants. Jacobson did not want to experience any risks arising from the vaccine and had a Fourteenth Amendment liberty right to refuse. Broadly construing the state police power, Holmes argued that the liberty right of the Fourteenth Amendment was not absolute and that to protect the safety of members of society, the interests of “safety, health, peace, good order, and the morals of the community” could override liberty. Holmes therefore ruled that Massachusetts could compel Jacobson’s vaccination. Decided in 1905, the Jacobson decision has become quite dated, scientifically. While still followed by state courts, the law has failed to keep pace with the evolution in the science of immunology. In 2015, the scientific and medical communities have a far better understanding of the nature of disease transmission and of the relative levels of risk associated with disease. There are numerous less restrictive alternatives to vaccination that provide as great, if not greater, protection against individuals becoming carriers of disease. For example, we now understand well those circumstances that must be present for a disease, like measles, to be transmitted. Let us assume, for example, that there is an outbreak of measles in a public school in Newark, New Jersey, and your child who is not vaccinated attends school in Camden, New Jersey. Let us assume further that upon consultation with an expert in immunology and based on that consult, you insure that your child takes specific and extensive steps to avoid becoming a carrier of the disease. For example, among other risk reduction strategies, you have your child at school wear a face mask covering nose and mouth and hygienic gloves and avoid any interpersonal contact with other students during the time public authorities say there remains a risk of measles contagion. Because vaccines are not 100% effective, including the measles vaccine, there will be children who will become carriers and may transmit the disease to others even when vaccinated. It is the case, however, that your child, having observed these alternative steps will be at no greater risk of contracting the disease than a child who is vaccinated. Compulsory vaccination statutes today are a throw back to a repulsive era in our own nation’s history from the dawn of the Twentieth Century to the end of World War II of national socialism, of eugenics, when the rights of man were made to take a back seat to the quest of nations to develop a master race, free of disease and of all “undesirables,” to quote Holmes. Oliver Wendell Holmes, Jr. was a strong advocate of this form of national socialism, believing wholeheartedly in the creation of an American master race in which forced vaccination, sterilization, and extermination of “undesirables” were lawful measures to advance the cause. In protecting the rights of all, we must especially protect the rights of the minority, because each of us will at some point be a part of a minority standing against the will of a majority with political power. To ensure adequate protection for individual rights, we must ensure that no measure of compulsion adopted by the state is allowed to trump Fourteenth Amendment and, in the case of free exercise of religion against vaccination, First Amendment grounds when there are obvious, less intrusive alternatives to the compulsion. In the case of vaccination, we have reached that point of scientific knowledge whereby it is no longer necessary to traumatize children who wish not to be vaccinated or parents for that matter, so long as they are willing to undertake reasonable alternative measures to reduce the risk of disease carriage and transmission.